How can family members RSVP for each other? Are you sending an invitation to a family? You can use our Connect feature to create a group RSVP to be sure you have an accurate headcount. 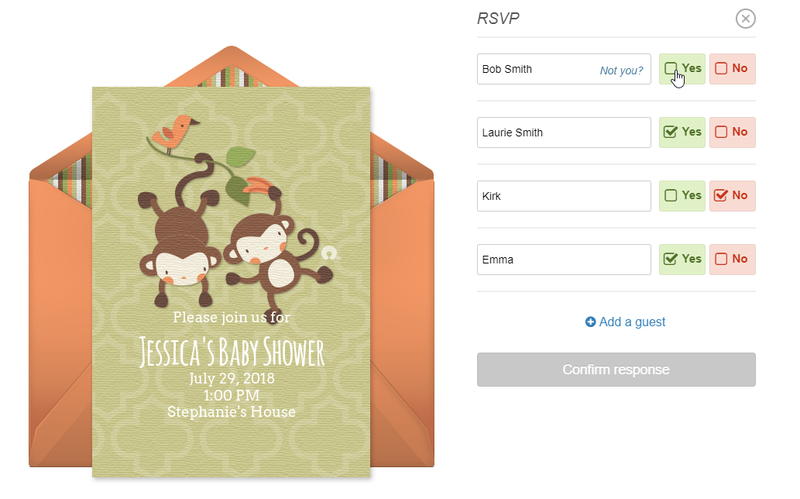 When your guest receives the invitation, they'll be able to RSVP individually for each family or group member you added.